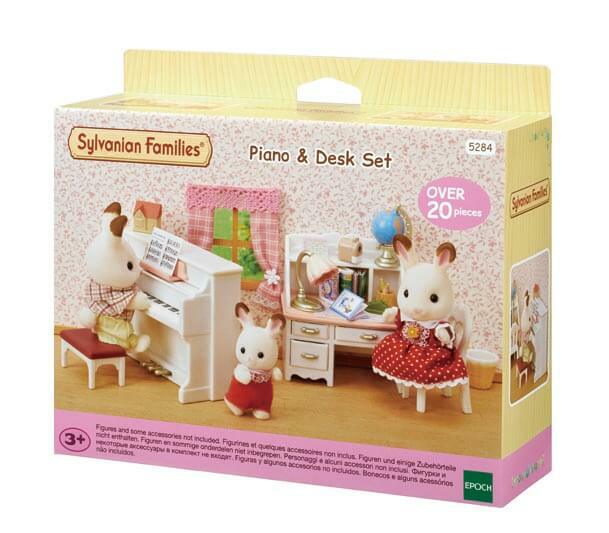 The Piano & Desk Set is a perfect furniture set to add to your Sylvanian Families house. 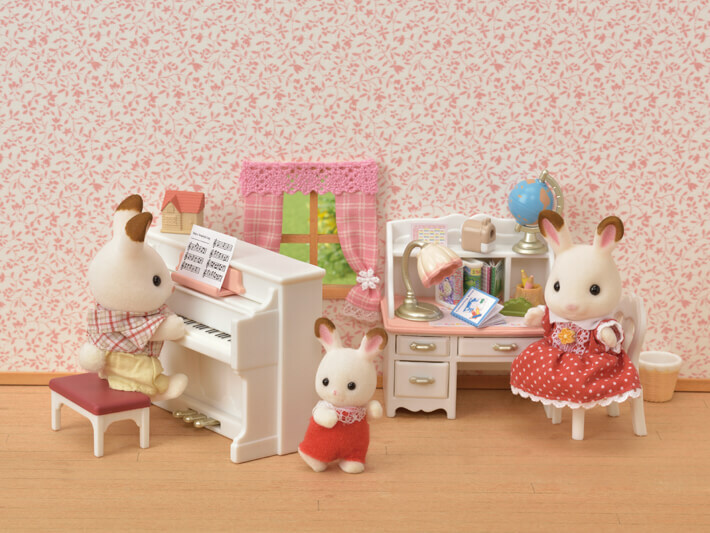 The set comes with lovely furniture for a child's room in white and pink. 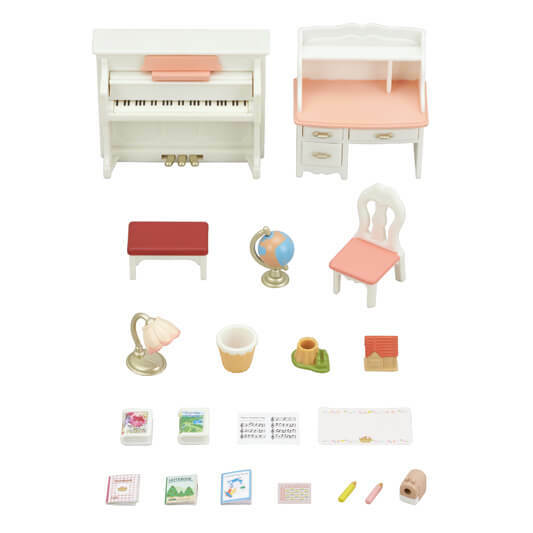 The desk has three drawers you can actually pull out. 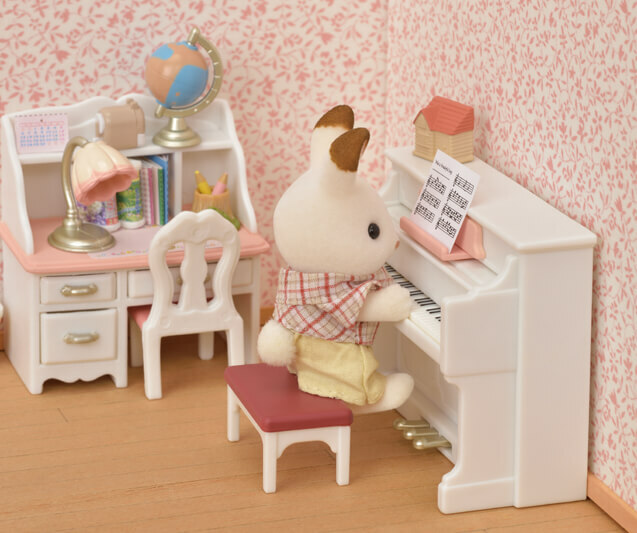 You can move the keyboard, pedals, and fallboard of the piano. 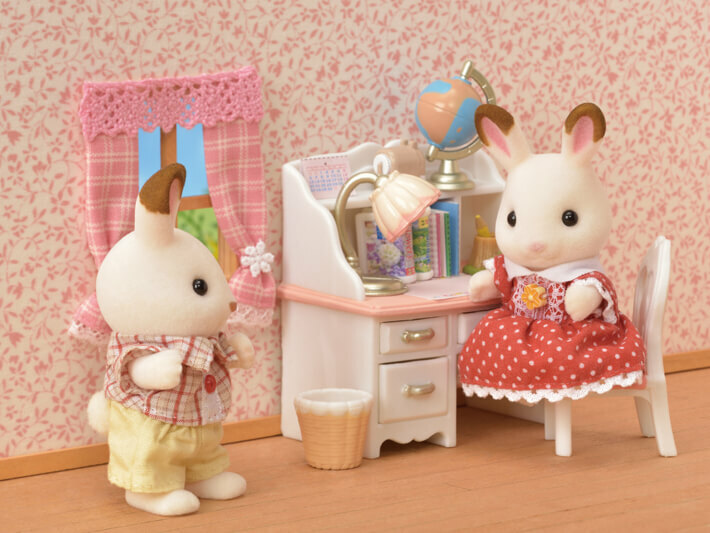 Small accessories such as a lamp, globe, books, and pencils are also included. 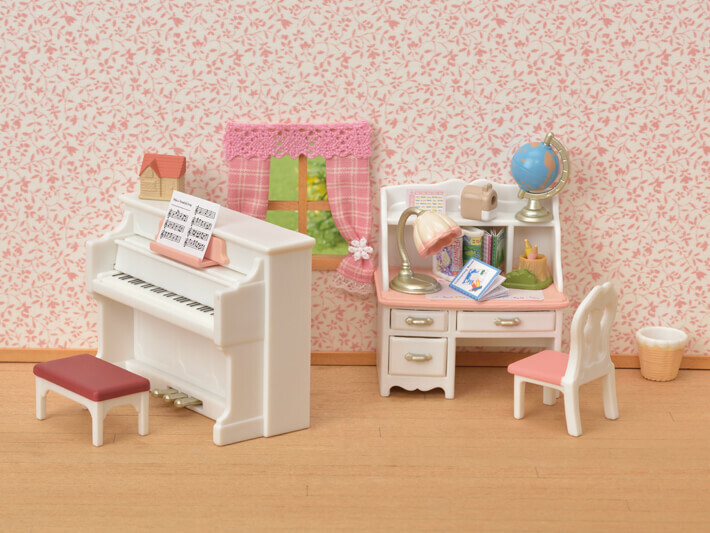 Combine with the Bedroom & Vanity Set to add furniture in matching colours. 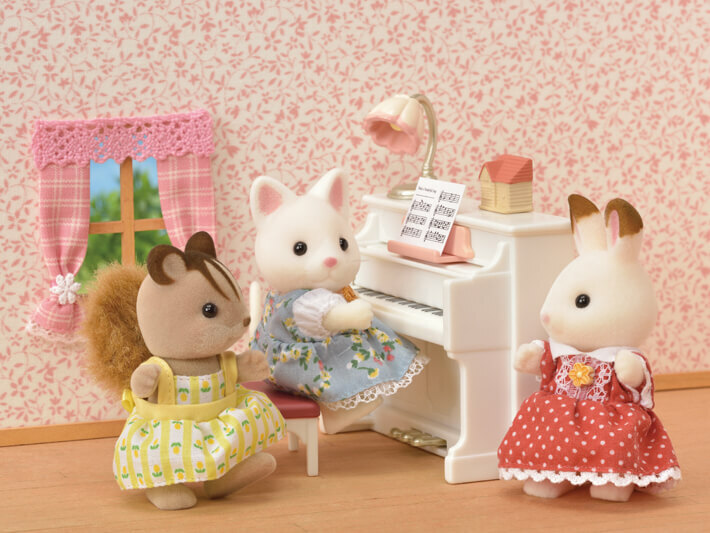 Play together with various houses, furniture and figures for even more fun (all sold separately).